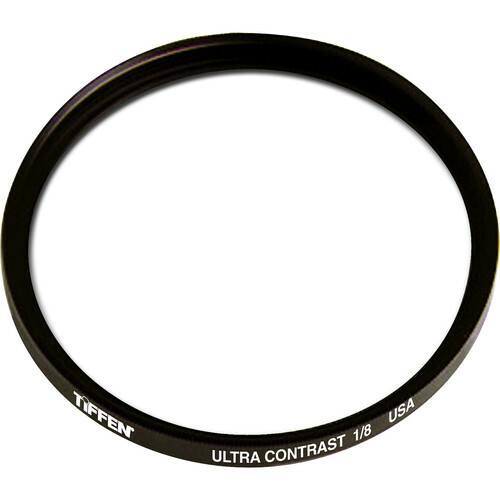 The Tiffen 138mm Ultra Contrast 1/8 Filter can be applied to purposely reduce contrast while photographing an image or while recording video. By distributing ambient illumination to darker areas within a scene, this filter is useful in helping to uniformly balance the tonal range among highlights and shadows. Detail is increased within shadow regions while flare and halation around highlights is purposely limited. This filter has a grade of 1/8. Grades of 1/4, 1/2, 1, 2, 3, 4, and 5 are also available where this filter type's effect becomes approximately twice as strong with each grade number increase.